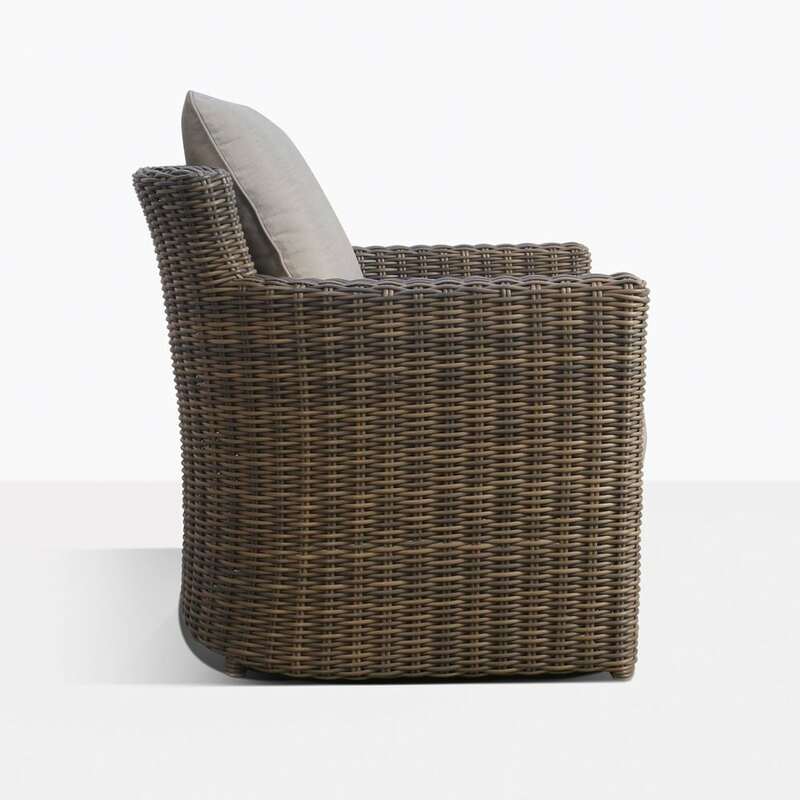 Get ready for utter comfort with the Chopin Outdoor Wicker Relaxing Chair, part of our incredible range of Outdoor Wicker furniture. 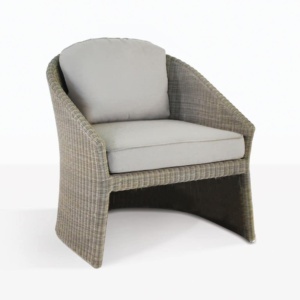 The Chopin Chair is the ultimate in wicker relaxing chairs, with an elegant frame that is low enough to sink into, and fit into smaller spaces without too much intrusion, but is detailed enough to give your outdoor area personality, adding a sense of occasion to your great outdoors! It comes with Sunbrella® cushions that are beautifully tailored to always look sophisticated. 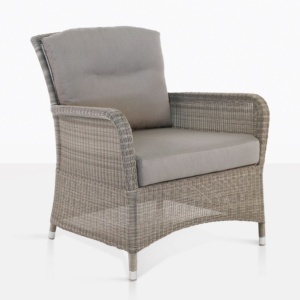 Visit our showroom today to sit in the Chopin Wicker Lounge Chair and order them for your outdoor space! Purchase two for your balcony, nestled on either side of a Manhattan Side Table. Perfectly set up for evening drinks as the sun goes down. 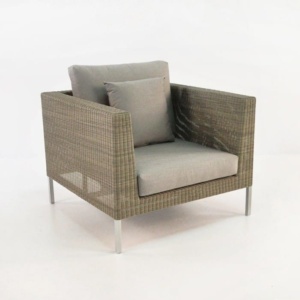 Or try the Chopin Chair in a group of four with a large Soho Round Table for a superb, contemporary look. Place it outdoors with a Antigua Cantilever Umbrella swung round to cover it before you swing it back to cater to your dinner party with a superb Long Island Table surrounded by Romansa Side Chairs in the same Kubu Grey Wicker! 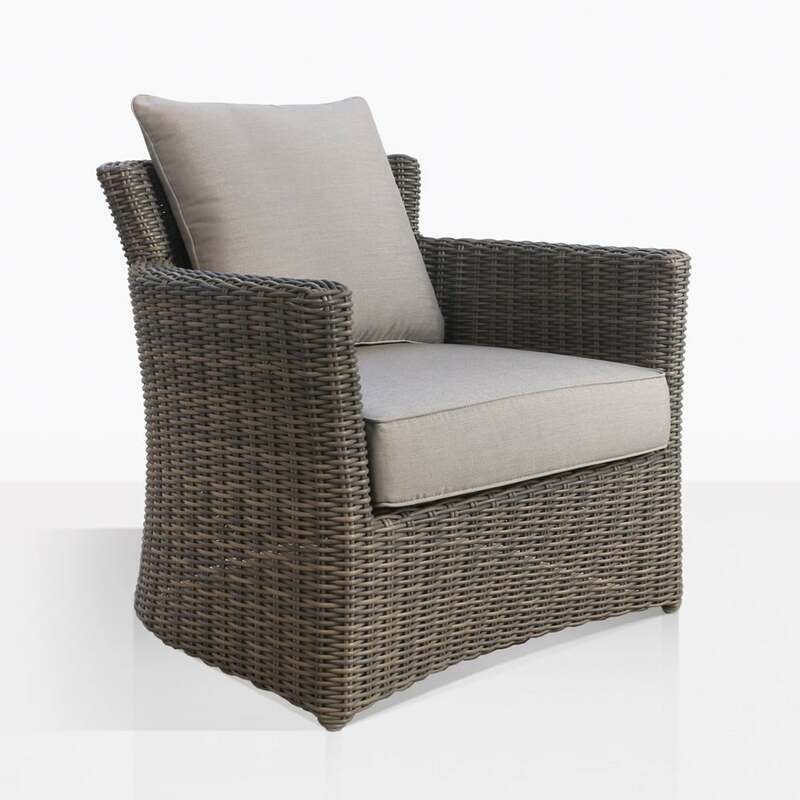 This is a wicker relaxing chair that also looks amazing indoors as part of a sunroom set; ideal for a spot to finish off reading your favourite book, or morning coffees. 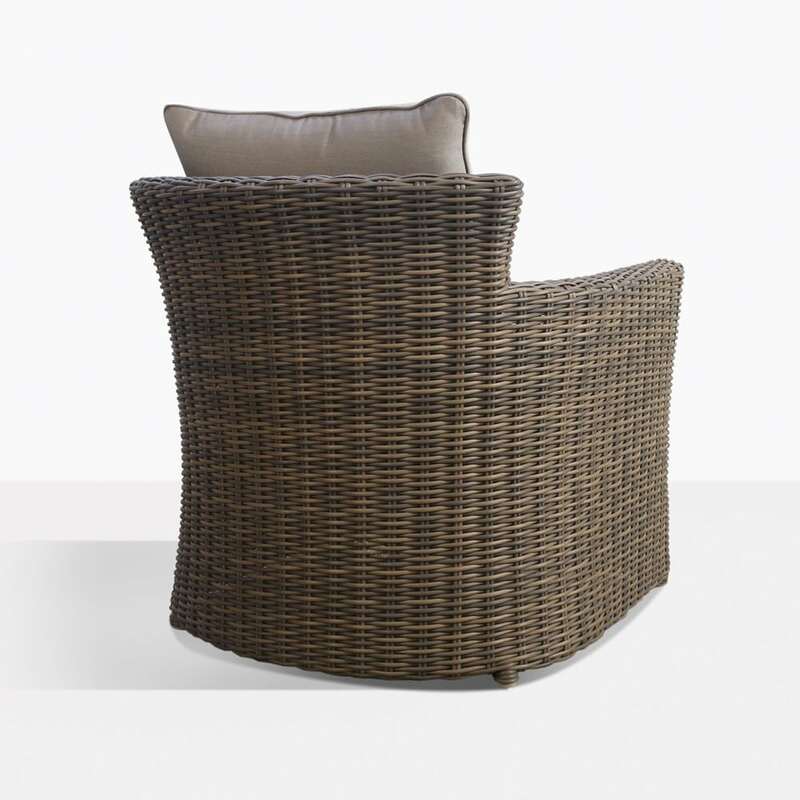 The wicker with the sumptuous back and base cushions make for a luxurious look that suits both outdoors and in! 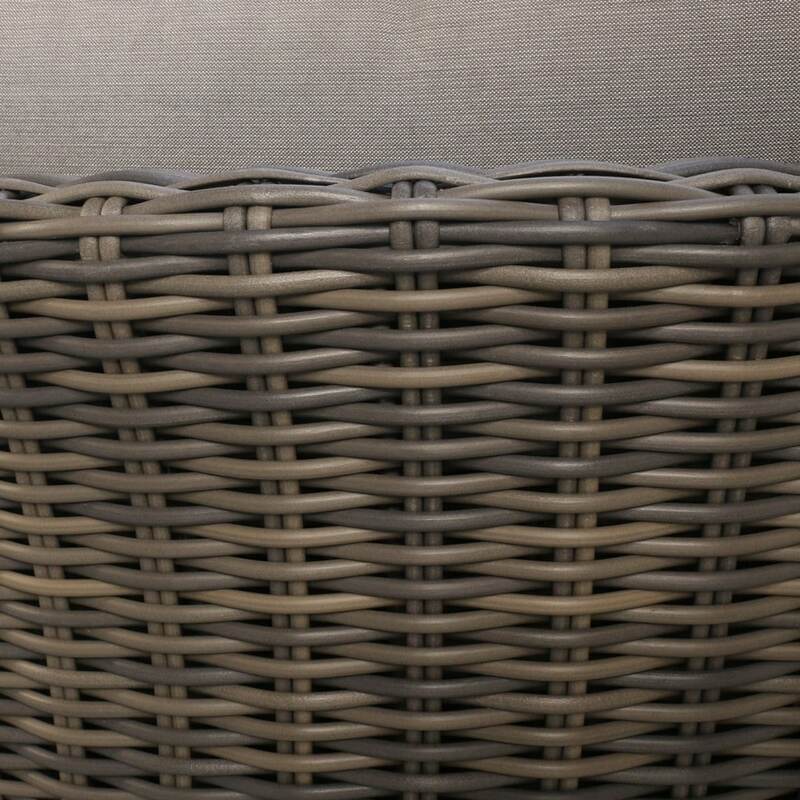 Made out of Viro® wicker, a through dyed poly-synthetic product which has also been UV treated, you can be assured that you’re buying the best on the market! The Chopin Chairs frame is powder coated aluminium, which stands up to harsh weather conditions, and finally the whole look is topped off with Sunbrella® cushions filled with QuickDry® Foam. With the Chopin Chair you wont have to worry. You will be kept in comfort and style for years to come! Call us today! 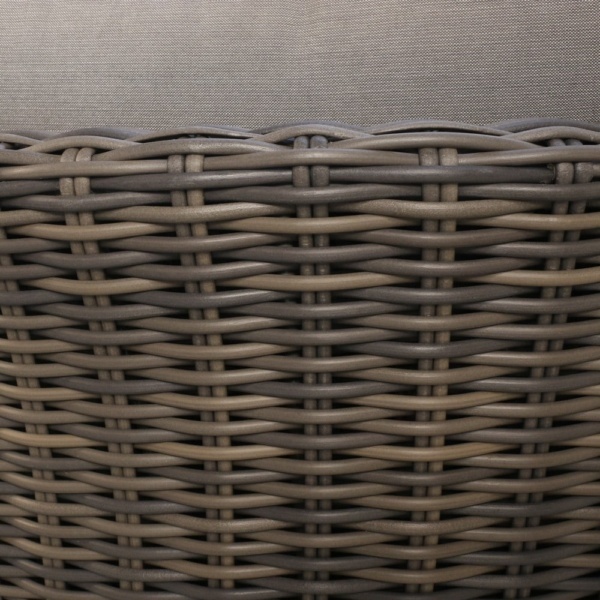 Our friendly sales staff are on hand 7 days a week to help you with your outdoor furniture needs!